Many people consider tarot cards to be all-knowing, when in reality they can’t quite answer every one of life’s dilemmas. 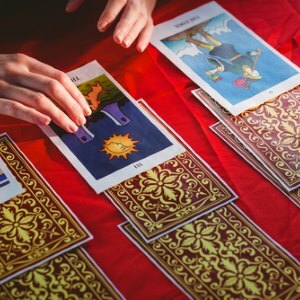 Learn which questions you shouldn’t ask the tarot, and understand better ways to frame your questions. Successful tarot readings will help you think through obstacles in your life or develop ideas for working through ongoing problems. While they’ll get you on the right path, however, readings won’t offer detailed answers for each specific situation. When you have a tarot reading, avoid disappointment by being open to exploring the information you receive. Know that the tarot will offer guidance, but it can’t usually provide a detailed course of action.